Add some anti-aging and fun smelling goodness to your next bath. 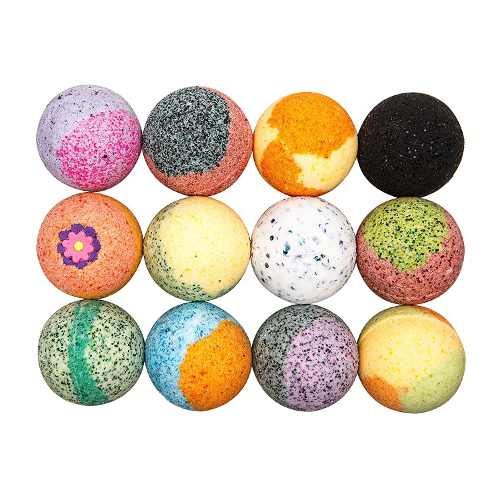 This glitter bath bomb set comes with 12 different scents that are handmade in the USA. Grape Soda, Black Cherry, Mango Papaya, Black Bath Bomb, Hibiscus, Kiwi, First Snow, Sugar Mint, Dreamsicle, Galactic Grape, Orange Guava, and Lime Mint.